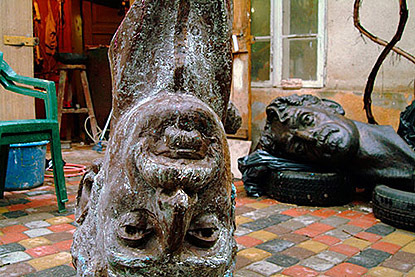 Back in May 2008, KUR was notified of the fact that an FZ statue donated by the state of Lithuania, risked being put on the outskirts on the city of Baltimore — “because Frank Zappa was not an appropriate image to have on their grounds.”… meaning- it would be put in a place where no one would see it. I’m thinking it should be in Fells Point Square/Mt Vernon Park or at least somewhere downtown where people can actually see it and appreciate it. On Wednesday, the commission formally endorsed placing the bust in the quirky Fells Point community. The neighborhood is a major tourist draw known for its nightlife. I have a friend who works in Baltimore Promotion of the Arts who said they got a TON of emails from around the world about the location of the statue. So thank you for posting. Between you guys and Zappateers (the other place I posted) I think we really made a difference!!! A friend who works in the Baltimore Office of Promotion & the Arts tells me that various well-trafficked locations have been denied for placement of the statue because Frank Zappa was not an appropriate image to have on their grounds. 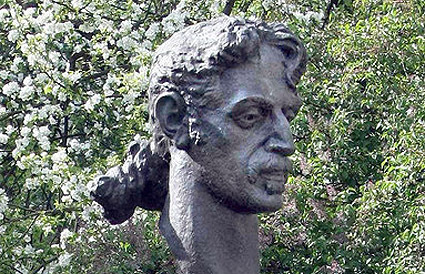 Therefore, its very possible that the Zappa statue could be put on the outskirts on the city … meaning- it’ll be put in a place where no one will see it. I’m thinking it should be in Fells Point Square/Mt Vernon Park or at least somewhere downtown where people can actually see it and appreciate it. If you agree, Eric suggests you send email to Kim Domanski (public art coordinator for BOP&A) and let her know that you’d like the Zappa statue to be in a highly trafficked/visible area. Even if just a few of you do it, it would be much appreciated and could make a big difference. And really it is at least a little way to give back to the man (or at least his legacy) who gave us so much amazing music.